The two smartphones Hewlett-Packard announced yesterday elicited barely a shrug, and its forthcoming TouchPad tablet is hardly more compelling than the dozens of Android tablets and RIM Playbook tablet on the nearer horizon. So why is HP suddenly considered so upwardly mobile? In a word, WebOS. In many respects, it was ahead of its time as a mobile operating system, and with the enhancements announced yesterday, it’s that much more compelling on a tablet. The card metaphor works well: Any application, or piece of data, can be a card that appears on the tablet screen, and users swipe through them. It’s mulitasking at its easiest. HP has added the concept of stacked cards, where users can keep related items (Web pages, for example, or e-mails). Hopefully they’re using hardware that is capable of running the OS smoothly, unlike their old windows tablets. and does it have a spreadsheet program that I can use in the field for data collection? also i wonder what the screen looks like out side in full sun. Tiny little computers running a Linux kernel operating system? Wow! I think I’m truly underwhelmed this time! I’m interested but as always the devil is in the details and I haven’t seen those yet. 1.2 dual core qualcomm processor, comes with quick office (editing for word/excel), nice specs just like the Xoom, seems like it should be fairly decent, but it’s not coming until summer. Part of the draw though is it will let you answer texts, calls, etc. on the tablet if you have a WebOS phone, which not many have. Whatever tablet I end up buying, it will come down to not being tied to a wireless carrier, will be interested to see how HP sells this and at what price for wifi only. Propriety OS only used by HP – great, all that choice of apps on iPad, Android, Blackberry confused me. Sync to the ‘cloud’ only, no PC sync. Great until HP discontinues this product or has a little server accident, or decide to start charging me for my own data. Value for money – by having their own OS, HP will be able to undercut all those cheap Android tablets so I’m guessing this thing costs about $99? Too late HP, you LOSE. I’m still waiting for a WebOS based printer. Funny how when a technology flops because it’s not what consumers want, it’s “ahead of it’s time.” Just like the DeLorean. Interesting UI I do like the flick windows, but what I really want is the holographic UI from Ironman. Isn’t that the Xoom video retouched from the last CES? Even when your pretty. If you show up to the party late. Your still not going to get the looks. I think if HP had the Touchpad available today or next week. That would be significant. But Summer? No. Too late to the show. And exactly why would I want to buy a new phone just to use all the features of a tablet? Print over the web = problems, delays and using up some of my internet caps. WebOS has gone bust once already, wanna bet it will roll over and jump back into the grave in about a year and a half? Sorry HP. I ain’t that drunk and I ain’t that horny. Too little, too late. I just traded my Palm Pixi for a new Android Phone. I miss Palm, but they let Apple and Google push them out of the space by not innovating. Meh. Nothing interesting here. Too bad everyone has to follow Apple’s lead, rather than coming up with stuff that’s revolutionary. HP went all-in with Compaq 10 years ago. That worked wonders. #15 Copying Apple’s designs, but with a less closed model has worked well before. Google appears to be doing it again with Android. I’ve said for years that the future is “dumb terminals” again. Of course, “dumb terminals” won’t look anything like those green monitors of old. But thin-client wireless computers won’t be the only option. But it’s the best option for people who hate to install software. 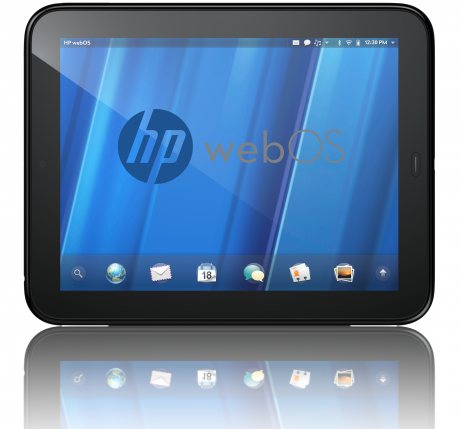 I don’t know why, but very time I see “Webos” I think of “huevos”. It had better be cheap, otherwise I smell a TI99/4 in HPs product line. Oh and thanx Michael_gr – now huevos is all I’ll see now! Hah! What the heck is this! 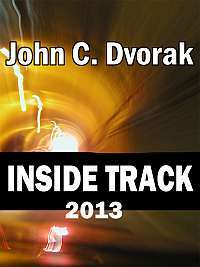 Technology on Dvorak’s site, get rid of it. Everyone knows this blog is only for biased political crapola and the bashing of religion. After 20 years as Microsoft’s main sales team, HP has had enough. Bad Behavior has blocked 15167 access attempts in the last 7 days.